I think I would have to agree with almost all of this! The following words of wisdom come from the teachings of the Buddha and those meditation masters who have followed the Buddha’s path of happiness. The simple verses on this page explore the themes of individual awareness and kindness, wise relationships, and the interconnection of all beings. At their heart they simply remind us that we too can live with the wakefulness and compassion of a Buddha. May these words and practices bring you inspiration, wisdom, and delight. Most of the sorrows of the earth humans cause for themselves. Even loss and betrayal can bring us awakening. Words have the power to destroy or heal. When words are both true and kind, they can change our world. Every wakeful step, every mindful act is the direct path to awakening. Wherever you go, there you are. Our own worst enemy cannot harm us as much as our unwise thoughts. No one can help us as much as our own compassionate thoughts. In one’s family, respect and listening are the source of harmony. To give your cow or sheep a large, spacious meadow is the best way to control him. To open our own heart like a Buddha, we must embrace the ten thousand joys and the ten thousand sorrows. True freedom comes when we follow our Buddha nature, the natural goodness of our heart. 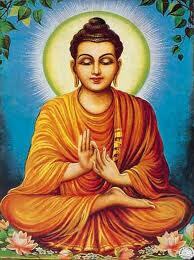 Do not blindly believe what others say, even the Buddha. See for yourself what brings contentment, clarity, and peace. That is the path for you to follow. Wherever you live is your temple if you treat it like one. Though we often live unconsciously, “on automatic pilot”, every one of us can learn to be awake. It just takes practice. If you can’t find the truth right where you are, where else do you think you will find it? Life is as fleeting as a rainbow, a flash of lightning, a star at dawn. Knowing this, how can you quarrel? Hatred never ceases by hatred; by love alone is it healed. This is the ancient and eternal law. Victory creates hatred, defeat creates suffering. Those who are wise strive for neither victory nor defeat. In the beginner’s mind there are many possibilities, in the expert’s mind there are few. Happiness comes when your work and words are of benefit to yourself and others. Spiritual life should include a great measure of common sense. We can be spacious, yet full of loving kindness; full of compassion, yet serene. Live like the strings of a fine instrument – not too taut and not too loose. Good-humoured patience is necessary with mischievous children and your own mind. Life is so hard, how can we be anything but kind. There is only one time when it is essential to awaken. That time is now. Through our senses the world appears. Through our reactions we create delusions. Without reactions the world becomes clear. It is not our preferences that cause problems but our attachment to them. Joy comes not through possession or ownership but through a wise and loving heart. Avoid the company of deluded people when you can. When you cannot, keep your own counsel. When leading, be generous with the community, honourable in action, sincere in your words. As for the rest, do not be concerned. In business, reinvest a portion of all you make, keep a portion for your use, save a portion for those in need. Whatever we cultivate in times of ease, we gather as strength for times of change. No matter how difficult the past, you can always begin again today. When you eat, eat slowly and listen to your body. Let your stomach tell you when to stop, not your eyes or your tongue. There are no holy places and no holy people, only holy moments, only moments of wisdom. When asked, “Are you a god or a man?” the Buddha replied, “I am awake”. Whoever sees the truth sees the Buddha. Desire blinds us, like the pickpocket who sees only the saint’s pockets. When wishes are few, the heart is happy. When desire ends, there is peace. That which is timeless is found now. Just as driving on the right side of the road gives us the freedom to go anywhere, so accepting the natural law of constant change is our route to freedom. Whatever path of action you find that brings good and happiness to all, follow this way like the moon in the path of the stars. Karma can change life like the swish of a horse’s tail. When you walk, just walk, when you eat, just eat. Don’t keep searching for the truth, just let go of your opinions. To meditate is to listen with a receptive heart. Everything that has a beginning has an ending. Make your peace with that and all will be well. Stay centred, do not overstretch. Extend from your centre, return to your centre. Take time every day to sit quietly and listen. If you know about the power of a generous heart, you will not let a single meal pass without giving to others. Like the mother of the world, touch each being as your beloved child. Harm no other beings. They are just your brothers and sisters. To awaken, sit calmly, letting each breath clear your mind and open your heart. In life we cannot avoid change, we cannot avoid loss. Freedom and happiness are found in the flexibility and ease with which we move through change. To know the way and not practice is to be a soup ladle in the pot and not taste the flavour of the soup. Treat others with justice and respect. In the long run, how you treat others will be how they treat you. Imagine that every person in the world is enlightened but you. They are all your teachers, each doing just the right things to help you learn perfect patience, perfect wisdom, perfect compassion. All things are like a river. We never enter the same river twice. In the end these things matter most: How well did you love? How fully did you live? How deeply did you learn to let go? No one outside ourselves can rule us inwardly. When we know this, we become free. There is the path of fear and the path of love. Which will we follow? Every life has a measure of sorrow. Sometimes it is this that awakens us. Strength and justice are the products of a steady heart. Calm and compassion are so precious. Make sure not to lose them through intoxication. We inter-breathe with the rain forests, we drink from the oceans. They are part of our own body. Roses become compost; compost feeds the garden for the growth of new roses. Even our anger can be held with a heart of kindness. What has been long neglected cannot be restored immediately. Fruit falls from the tree when it is ripe. The way cannot be forced. Generosity brings joy; honesty brings peace. A day spent judging another is a painful day. A day spent judging yourself is a painful day. You don’t have to believe your judgements; they’re simply an old habit. In times of difficulty take refuge in compassion and truth. As rain falls on the just and the unjust alike, let your heart be untroubled by judgements and let your kindness rain on all. There is no fire greater than greed and hatred. Life lives on life. We all eat and are eaten. When we forget this, we cry; when we remember this, we can nourish one another. If you are poor, live wisely. If you have riches, live wisely. It is not your station in life but your heart that brings blessings. Karma means you don’t get away with anything. When you meditate, sit with the dignity of a king or queen; when you move through your day, remain centred in this dignity. Let your mind become clear like a still forest pool. Some days we feel like strangers. When our heart opens, we will realise that we belong just here. Things to do today: Exhale, inhale, exhale. Ahhhh. If you wish to know the divine, feel the wind on your face and the warm sun on your hand.